The Auto Finesse ObliTARate tar and glue remover is a solvent-based formula that quickly dissolves contamination on contact, removing even the most stubborn tar and glue residues without damaging the underlying finish. Dedicated tar and glue removal products like ObliTARate help to dissolve and remove contamination before you even touch your car. This minimises the possibility of marring and scratching paintwork and extends the life of your detailing clay bar. Auto Finesse ObliTARate can dissolve even the most extreme contaminates, like traffic cone rash from auto-crossing, gaffer or duct tape from temporary camera mountings, undercoating overspray, and residues from factory protective wax coatings. 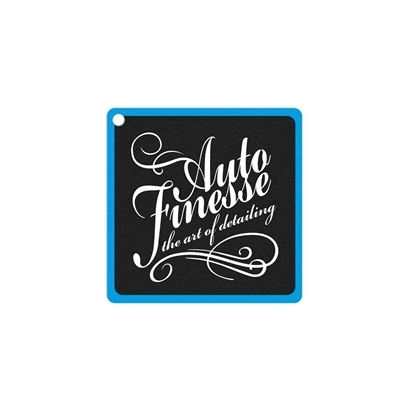 Auto Finesse ObliTARate is safe to use on all modern painted and powder-coated surfaces, as well as glass, solvent-resistant hard plastics, bare metal and bright work trim. However, ObliTARate is a very strong solvent product and may cause damage to fresh paint, SMART repairs, un-catalysed lacquers, and some delicate vintage finishes. If using the product on these surfaces, proceed with caution and test ObliTARate on an inconspicuous area to check for compatability. If no hazing or swelling of the finish is present, and no paint gets transferred to your applicator or microfiber towel, you can use ObliTARate with confidence.